Brighten up your laptop, smartphone or tablet with these awesome Ready Player One Gadget Decals. These stickers are reusable and feature some of your favorite characters and slogans from the Ready Player One book and film. Stick Parzival on your laptop in time for your next journey into virtual reality, or put Art3mis on your smartphone and take her with you wherever you go. It's up to you! 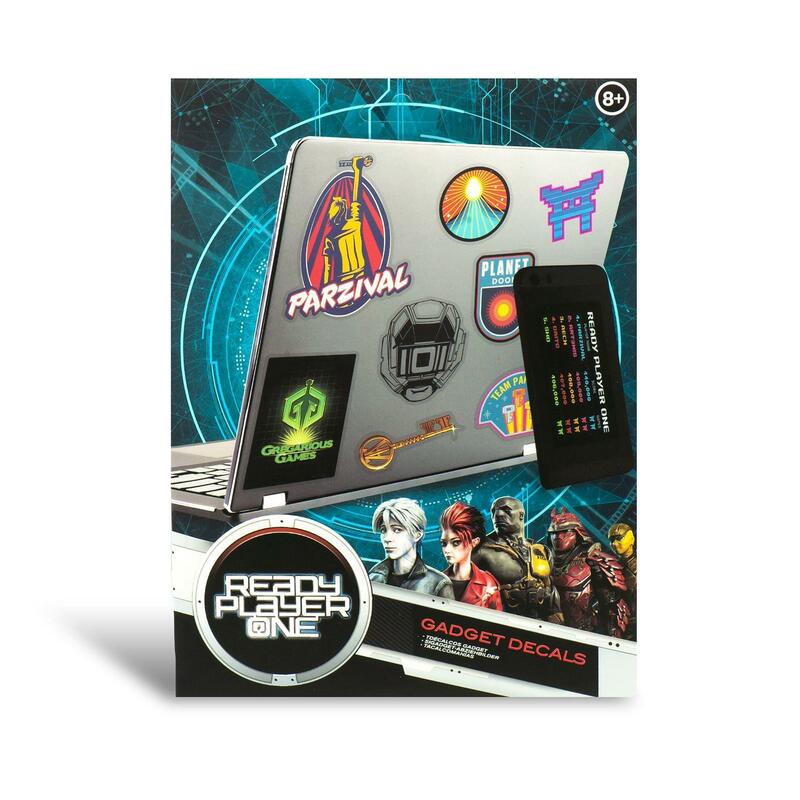 This pack contains four sheets of waterproof and repositionable gadget decals in a variety designs, all of which come from the Ready Player One world. Includes 4 sheets of stickers.